Branford Marsalis is an American saxophonist, composer and bandleader. He has been cited as “arguably the most respected living U.S. jazz instrumentalist”. 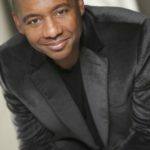 While primarily known for his work in jazz as the leader of the Branford Marsalis Quartet, he also performs frequently as a soloist with classical ensembles and has led the group Buckshot Le Fonque. "My dad was a musician, it was just what he did, like another guy’s dad drives a meat truck. Our house was normal. We weren’t taken with the fact our dad was a musician."